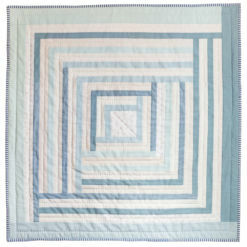 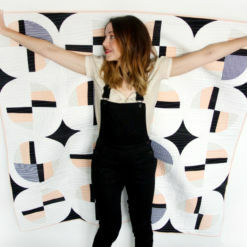 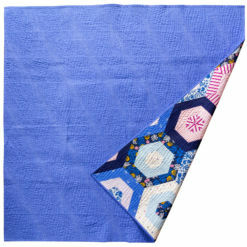 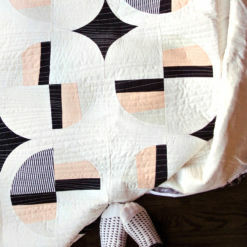 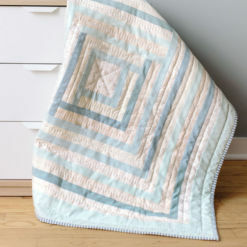 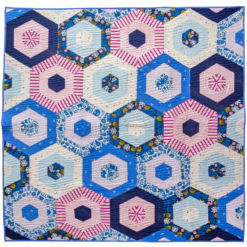 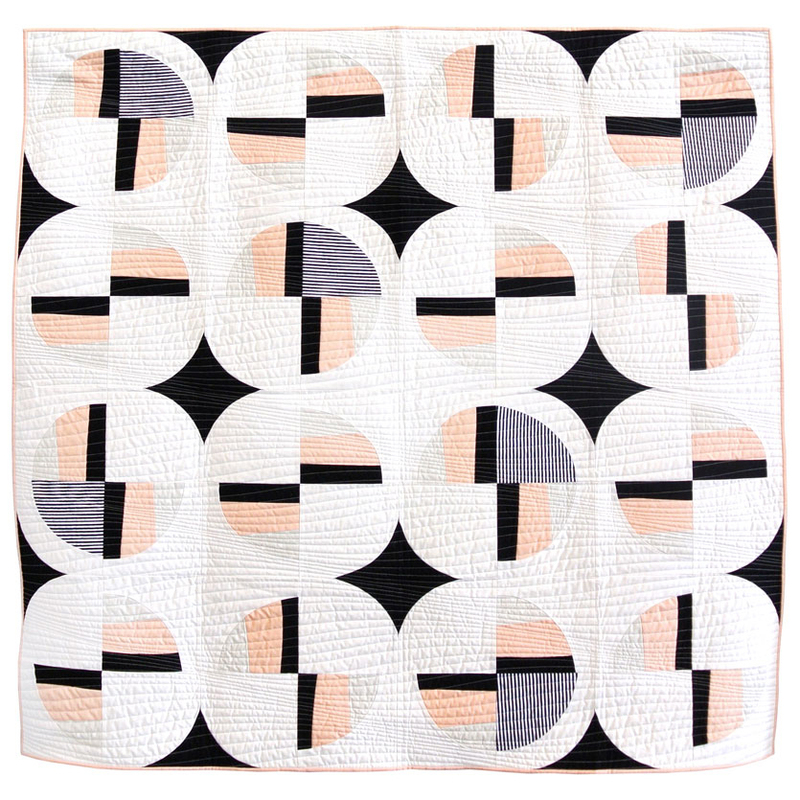 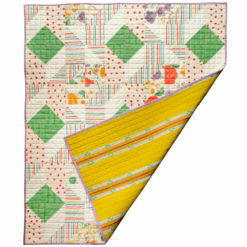 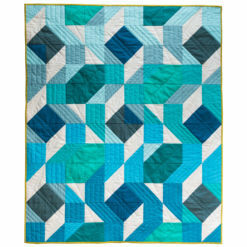 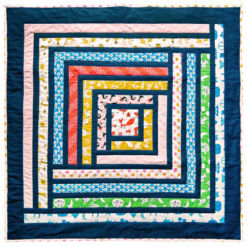 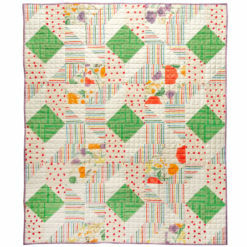 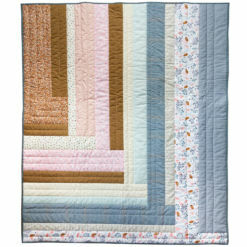 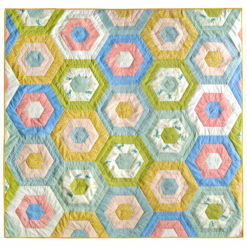 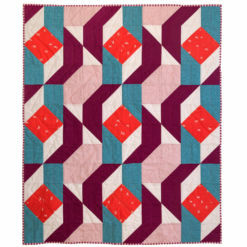 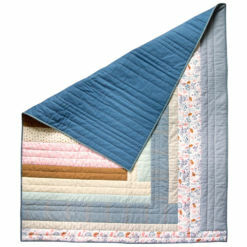 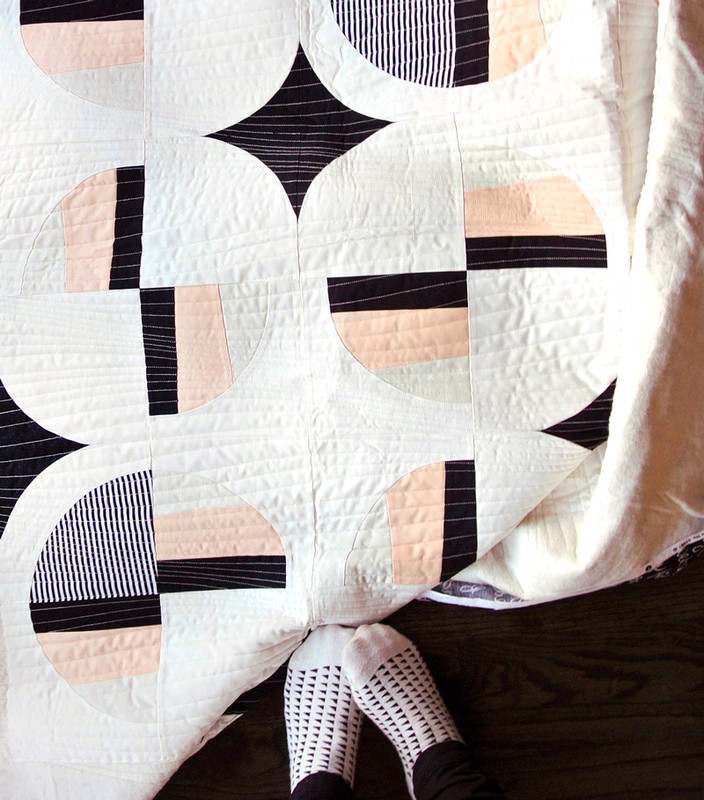 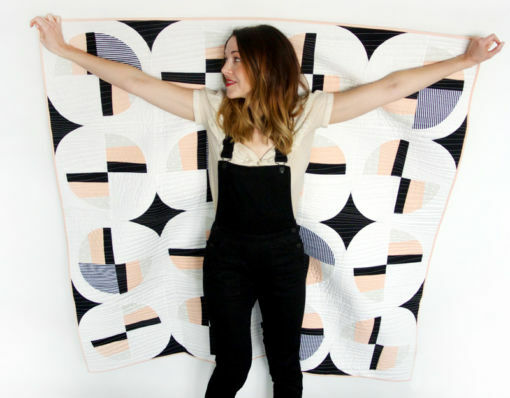 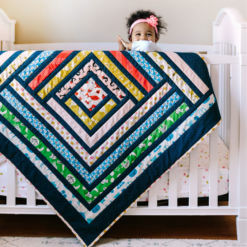 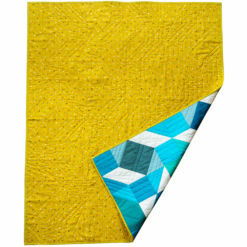 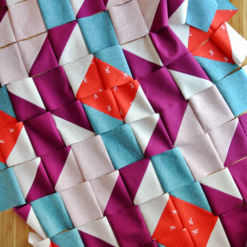 This quilt design is the geometric abstraction of industrial fans. 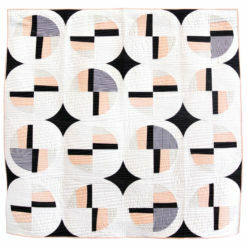 By starting with a set structure in mind, I reduced the elements until they were in their simplest forms. 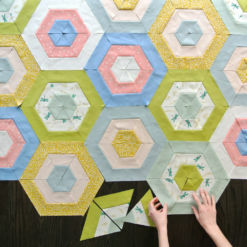 The gradation in color value causes the eye to circle around and around, hopefully evoking the “whomp whomp whomp” sound huge metal fans can make. 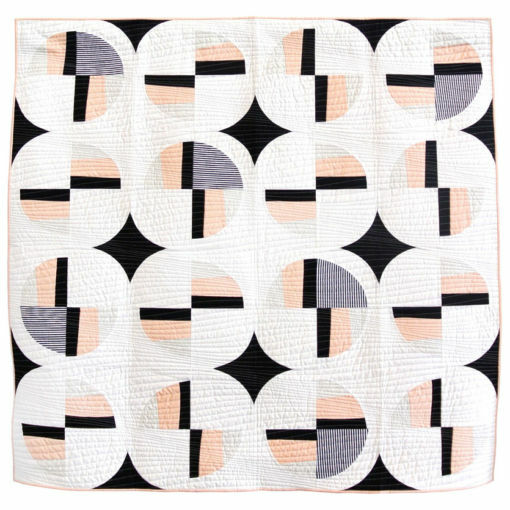 Small touches of peach and gray sprinkled into the design bring a hint of whimsy and feminism to a stark, bold composition.